Guide4WDW.com: Disney CEO Bob Iger States That Attractions Will Augment Reality But Never go "Virtual"
Disney CEO Bob Iger States That Attractions Will Augment Reality But Never go "Virtual"
Disney's CEO, Bob Iger, has been an outstanding leader of the company for quite some time. With the recent extension of his contract, there's surely more of his decisions that will be developing in the parks over the next several years. Just last Friday, Iger was posed a question about the presence of virtual reality arriving in the Disney parks in the near future. His answer was a quick "no" with a fairly understandable explanation and one, as an obvious fan of the innovation Disney has created in real life, that I can appreciate. 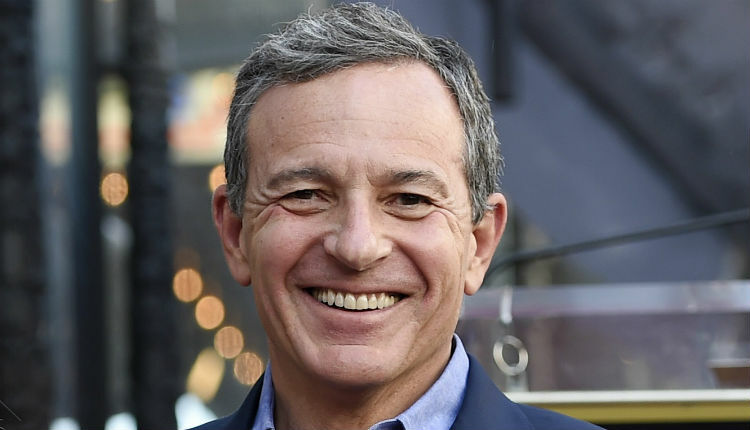 Essentially, Iger responded by referencing the Disney legacy, and how that legacy isn't about a quick update but rather transporting the guest to places that put them in the story. I can't blame him for that thought process, and while he certainly hasn't gotten everything right as a CEO, he's been incredibly successful in developing immersive "real-life" environments for guests across the country and even across the world (with the creation of Shanghai) that exceed expectations. Personally, I think this is a wonderful step for the company. In the world of Disney today, it seems that everything is focused on making money and for once this seems to be a decision to avoid the "quick update" so many other parks are developing to make money fast. Disney has always been about the true guest experience and the joy of being in that Disney bubble. Everything has a different feeling, a different level of expectations, and a true attention to detail that could never be developed through a virtual experience. Interestingly enough, Bob Iger seemed to hint at a concept in development. He essentially said that he had been involved with a creation of the Disney engineering lab where you could utilize a device to pick up a lightsaber and fight Storm Troopers! While no other details were released, I could certainly see an element of that concept arriving at some point in Star Wars Land. Iger even went as far as to state that he spent his Tuesdays there testing the design. Overall, he made a point to state that he had instructed the Imagineering teams not to consider virtual reality but rather augmented reality. While the difference is subtle, one would keep you in a world that Disney could create while the other would place you in a completely simulated world, removing the Disney Magic of the real-life environment. So, what do you think? Is this something you're glad Disney is staying away from, or were you hoping to ride a virtual reality version of Space Mountain, or even Test Track in the future? Pandora Fastpass+ Selections Open Tomorrow! Our Top 5 Snacks Under 5 Dollars at Epcot!